Happy Birthday America! No card I regret, but an ardent wish for a good year ahead for this country I so love. A sincere thank you to those who made this day possible–the soldiers, the freedom fighters, even the wig-wearing declaration authors. It is a honor to celebrate this day. 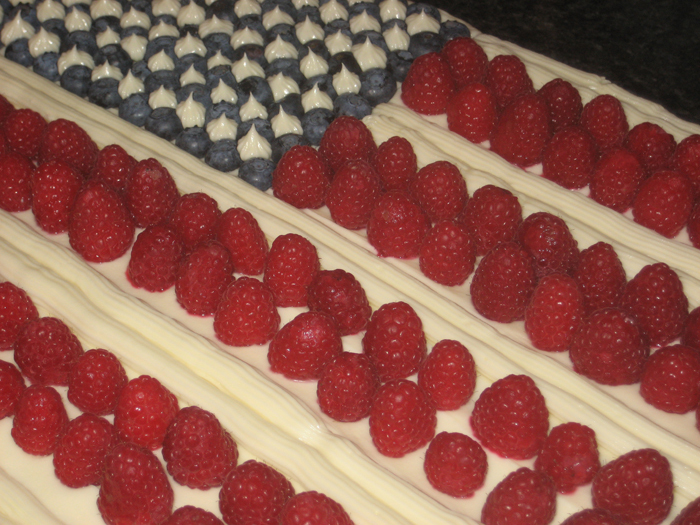 I hope there is a flag cake in your future. And a heaping plate of deliciousness straight from the grill. Happy 4th of July!